mango lassi recipe | aam ki lassi recipe | mango lassi drink with detailed photo and video recipe. a popular mango flavoured yogurt or curd based drink from the famous punjabi cuisine. traditionally lassi recipe is a salted or a spiced savoury drink flavoured with mint and jeera. but there are several flavours and varieties to the traditional lassi recipe and mango lassi is one such popular recipe. 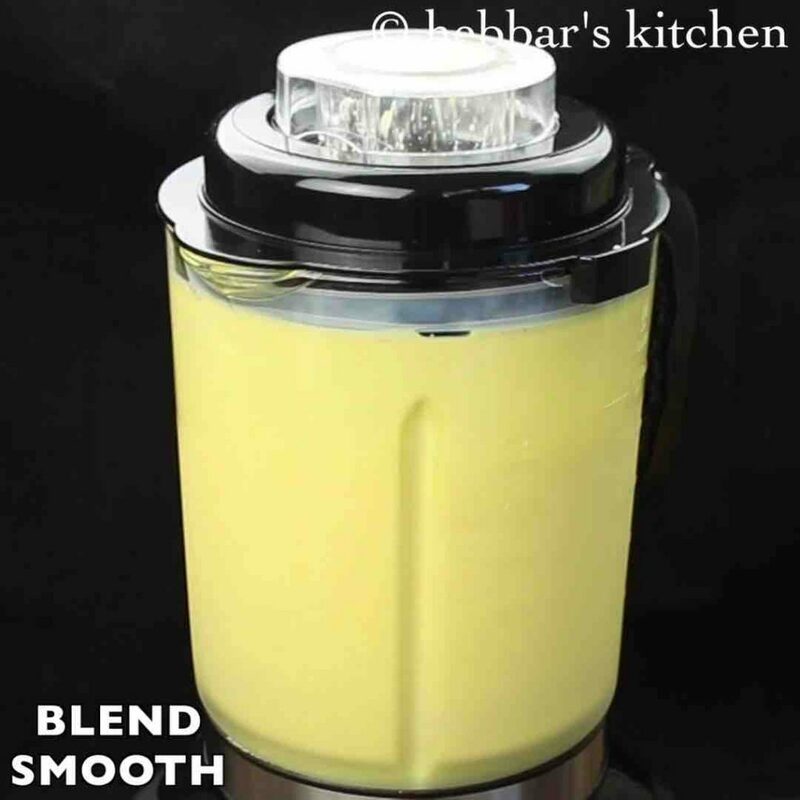 mango lassi recipe | aam ki lassi recipe | mango lassi drink with step by step photo and video recipe. basically lassi recipe is a mixture of thick curd, flavouring agent (mangoes, rose etc), spices and water. it is traditionally relished as a refreshing beverage drink during hot weather or perhaps after a spicy lunch or dinner. aam ki lassi is one such popular variation is highly popular within indian diaspora settled in overseas location. recipes from ripe mangoes are hugely popular in india especially during summer season. i guess by now the ripe mangoes have already hit the market as it is almost dawn to summer season. i have already lined up with mango recipes for this season of summer but i always wanted to start with this extremely popular mango lassi recipe. i have already shared the savoury version or plain lassi recipe previously but i was just waiting for fresh mangoes to arrive. 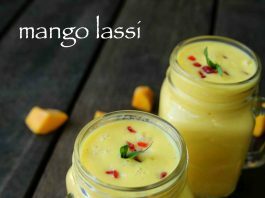 having said that, lassi can also be prepared from mango pulp or frozen mangoes to quench the thirst during non mango season. in fact using mango pulp is the easiest way of preparing this recipe without the hassle of skinning mangoes with a consistent mango taste. 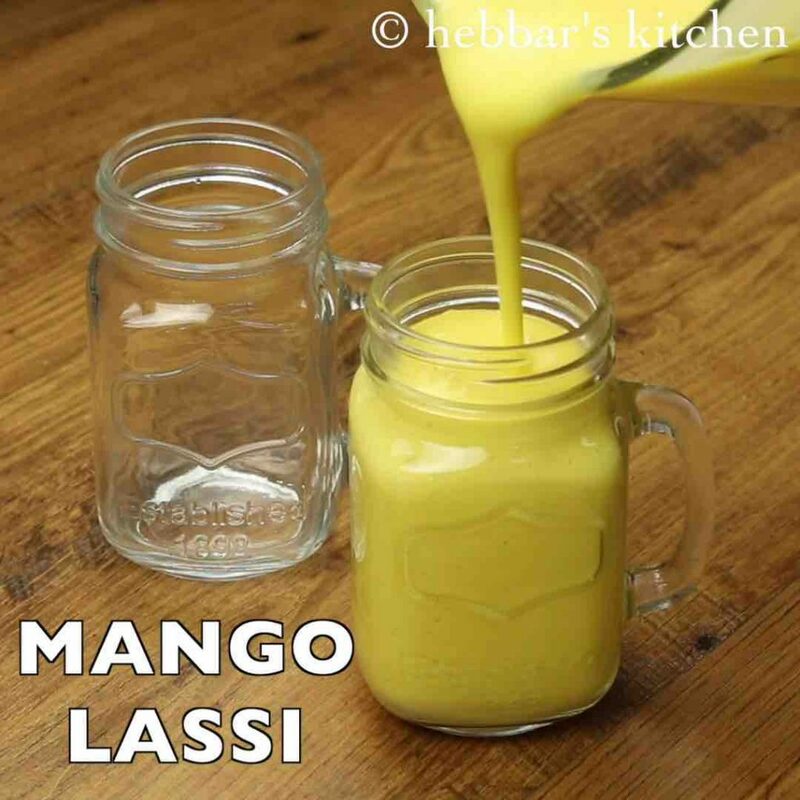 the recipe steps is extremely simple to prepare mango lassi recipe, yet some tips, variations and serving ideas for it. 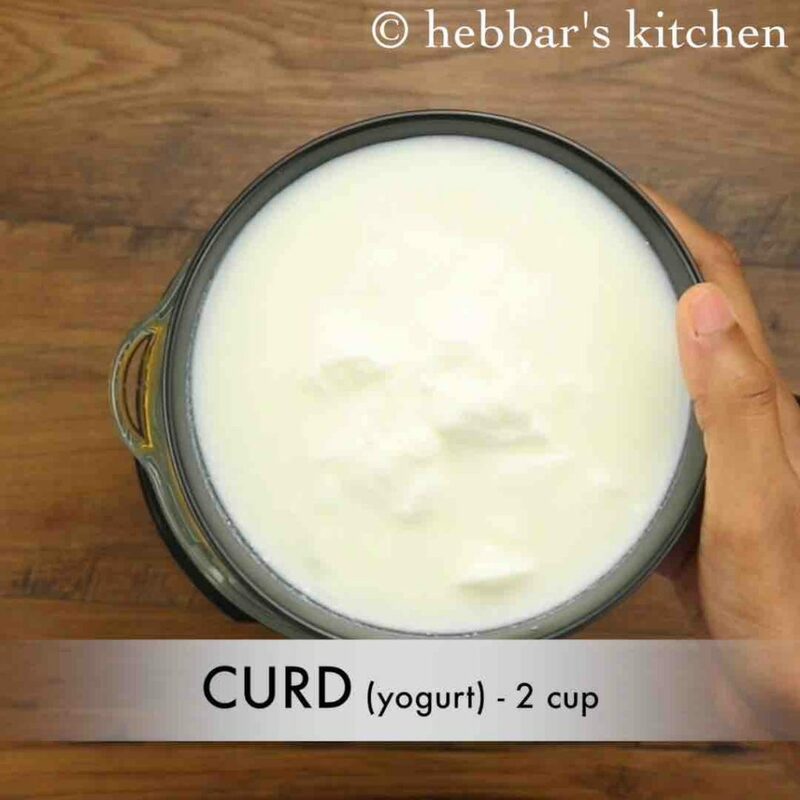 firstly, i would heavily recommend to use fresh or less sour curd for any lassi recipe. otherwise, the end result may taste very sour and you may have to add more sugar to void the sour taste. 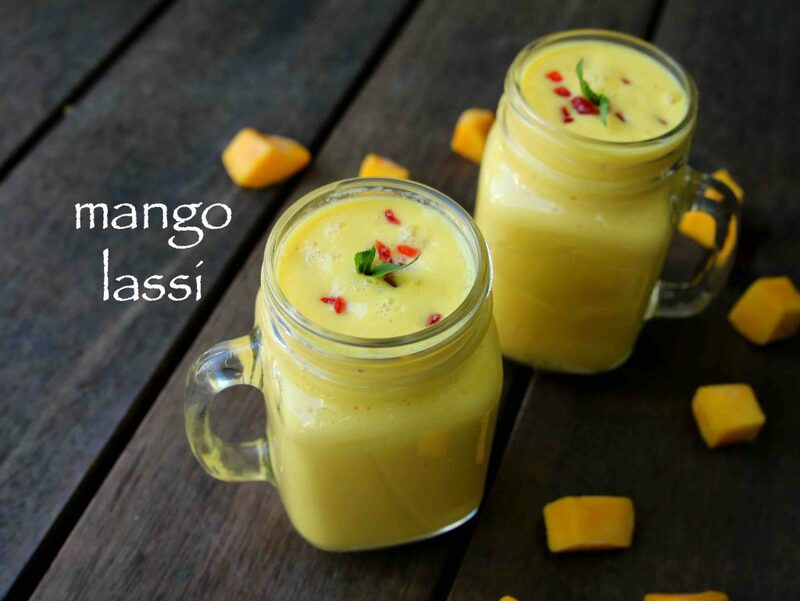 secondly, choose sweet mangoes alphonso, badami, neelam, raspuri and kesar for a creamy and rich mango lassi recipe. moreover you should be able to get these mangoes pulp extract too in your nearest store. 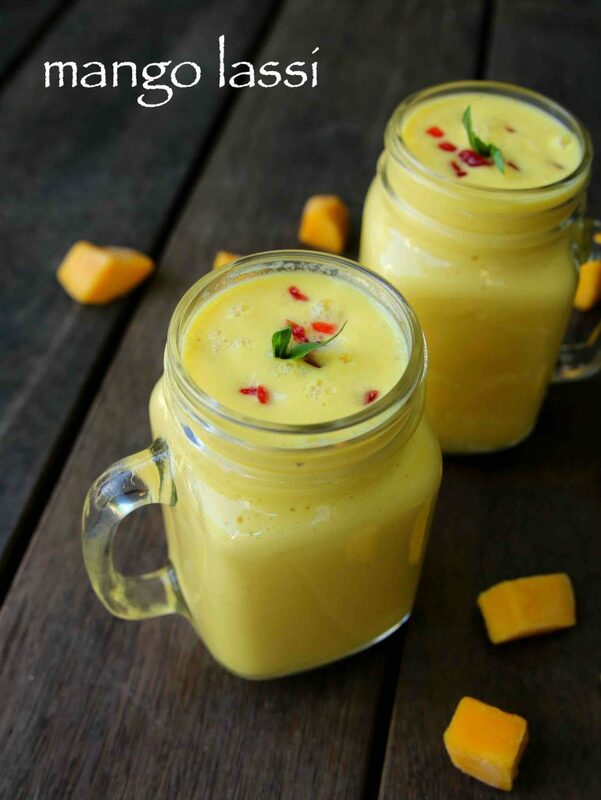 lastly, serve mango lassi chilled or perhaps use ice cubes while blending it for instant chilled lassi. ideally lassi should taste great when served after meal. firstly, in a large blender take 2 cup mango and 2 cup curd. also add 3 tbsp sugar and ¼ tsp cardamom powder. blend smooth without adding any water. transfer to prepared lassi into glass jar. finally, garnish with few tutti frutti and mint leaves before serving mango lassi. blend smoothly without adding any water. 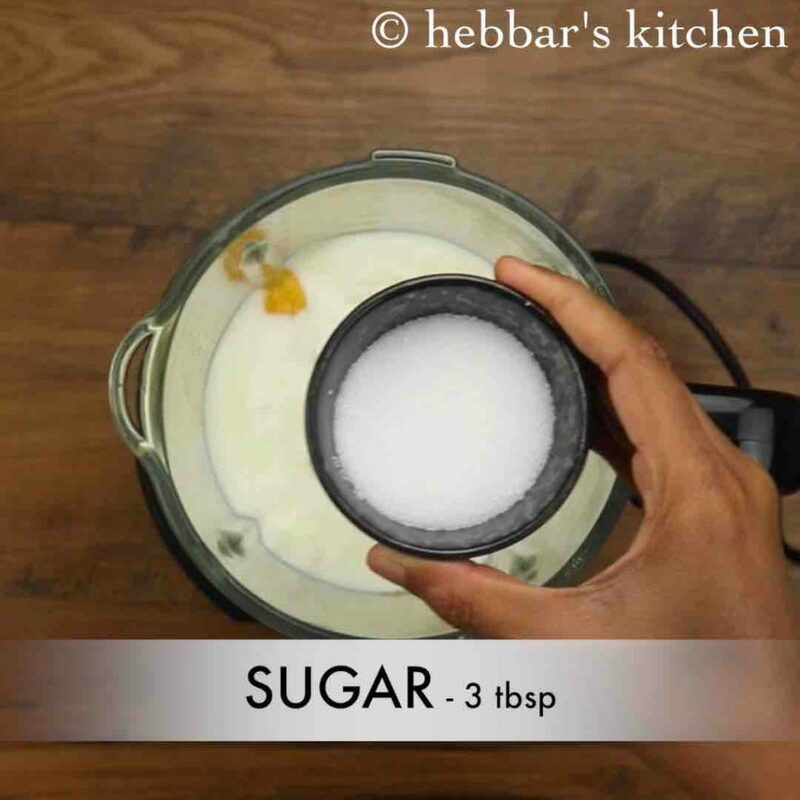 firstly, adjust the amount sugar depending on sweetness of mangoes and curd. also, use thick curd as lassi taste rich when prepared thick and creamy. additionally, garnish with chopped nuts to make lassi more healthy. finally, mango lassi tastes great when served chilled.